We don't forget the older models! Zodiac is not only your supplier for the Twin-Cam and Evolution parts. 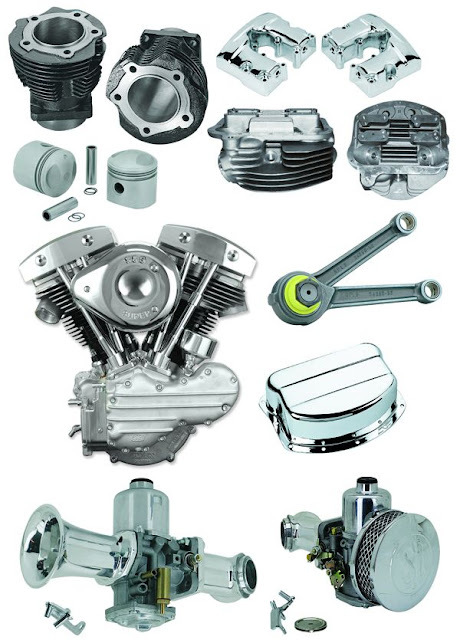 We also got a lot in stock for WLA, Knucklehead, Panhead, Ironhead and Shovelhead models. From exhaust systems to replacement engines, and even complete kit bikes. Whether your customer wants to customize a brand new bike or rebuilding a classic one, Zodiac is the right address for all required parts.